What a great work you did on the crochet and the bracelet!!! Wonderful picture ! Beautiful! 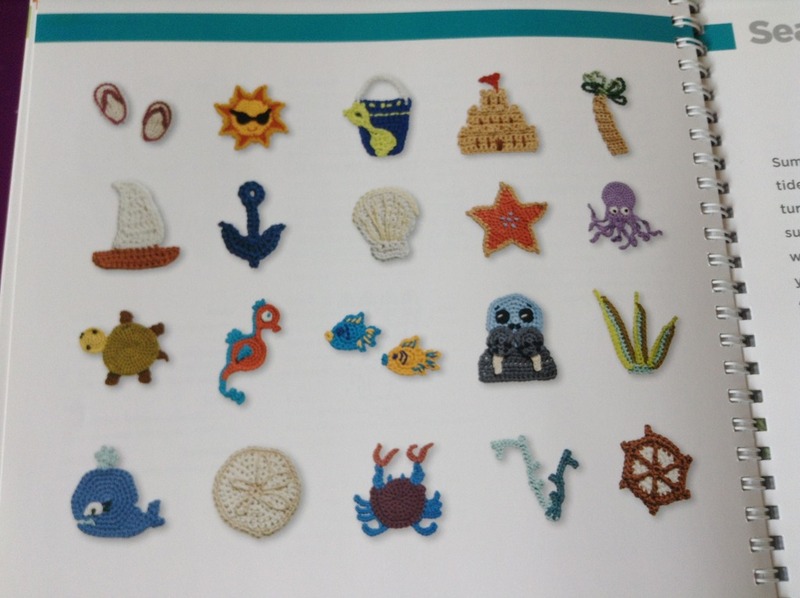 I also love to crochet beach themed things! Really wonderful bracelet and crochet creations! Gorgeous!! I really like this look!! Both the bracelets and your crochet capture the feel of the beach! Enjoy your well-deserved time of relaxation! Love your bead choices. I can see the dark water, the froth and feel the sandy beach. Love it! Nothing says summer to me like the beach and crocheting. Love the touch of orange bead. They are lovely. And this way you don't have to worry about sand getting inside your bathing suit and making you itchy, or about getting a bad sunburn! Love your sea bracelet and the crocheted shells and starfish. I could really use a little sea breeze right now with the temperatures. I plan to make some of these soon. I'm happy to share patterns if you see something you don't have or are looking for something (book also has sections for holidays, farm, garden, and wild animals). I bought a used copy when I got mine because it was cheaper. I love all the crocheted applique! And I LOVE that owl blanket! That is indescribably wonderful! This is so lovely, I can imagine that these crocheted beach items give you a holiday feeling. Sea themed bracelets: I love them all. You have crocheted them very lively! But Trollperle, was it you who mentioned that you had moved but did. Ot have a balcony? That must be very hard, I could not survive that, as I love to go outside. @Daisylove wrote: This is so lovely, I can imagine that these crocheted beach items give you a holiday feeling. Sea themed bracelets: I love them all. You have crocheted them very lively! 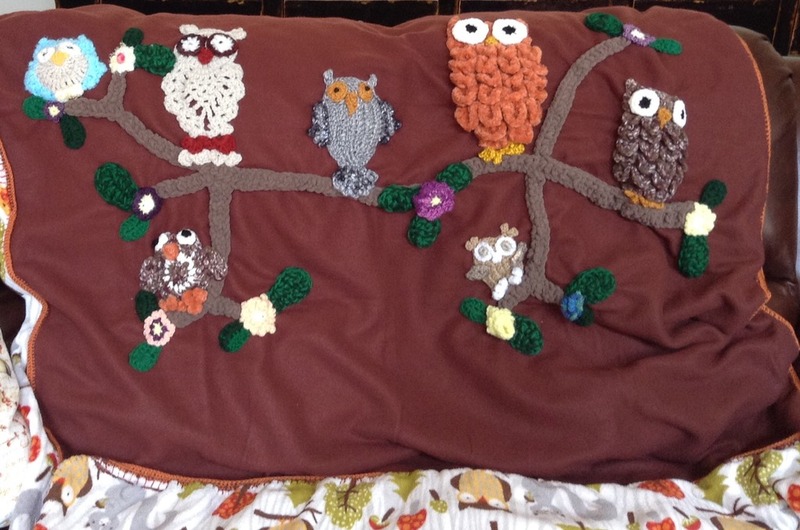 What a great crocheting job you did! Your "beach" is great. Congrats on the move and a new home - hope you're all settled happily. Oh, I am sure, they will, my dear I would love to see them, when they are ready. Congratulations on your new home Trollperle! I just noticed that your text says 'location: Germany'. Did you always live there or did you move to another country? I seem to remember that you lived some where else, or at least I thought so..
You are very talented! I have some crocheted egg hats from you from the easter bead swap also very lovely! I use them to hang in our easter branches, or three, not sure how to call it.